Pra Ngang Ta Daeng Khmer Red Eyed Nocturnal Ghost amulet for Gambling and Seduction, Nocturnal Activities, Evasion of Enemies and Anti Black Magick, in Nuea Dtakua (Alchemical Lead, immersed in Sacred Prai Oil, from Luang Phu Wiang of Wat Sawang Nong Chart, in Maha Sarakam. 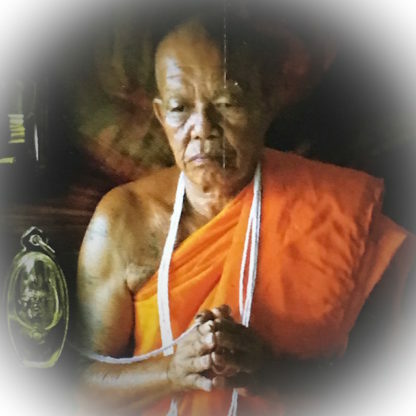 Luang Phu is a master of the Khmer and Thai Wicha Maha Sanaeh. 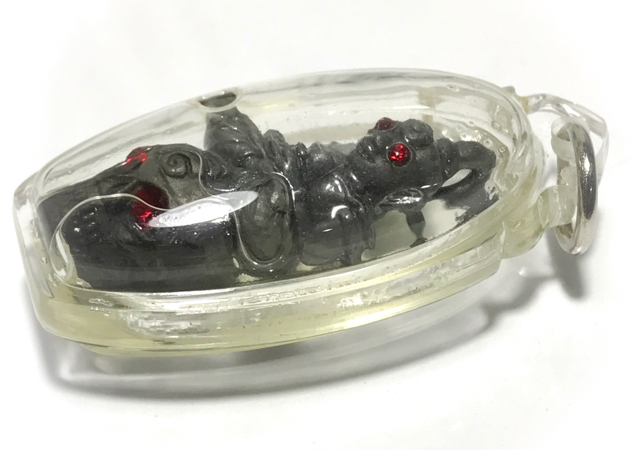 he created this series in various models, including Loha Aathan, Albaca, and these special versions immersed in Prai Oil. 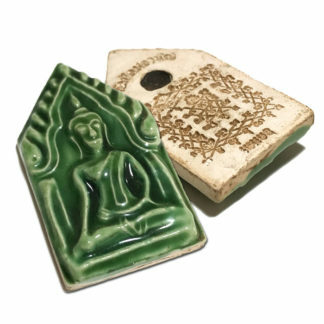 This edition also included some Pra Khun Phaen Jao Sanaeh amulets in various kinds of Muan Sarn Sacred Powders amulets, also with a special Ongk Kroo version immersed in Nam Man Prai oils. 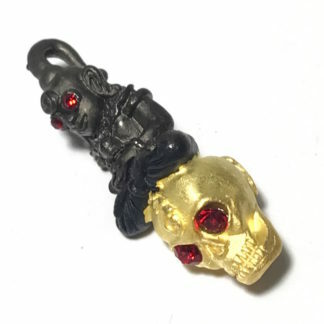 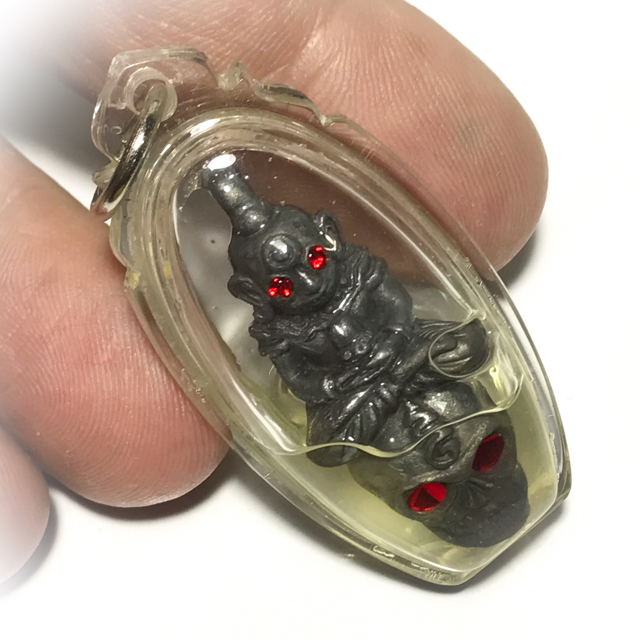 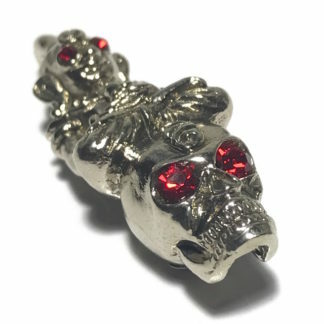 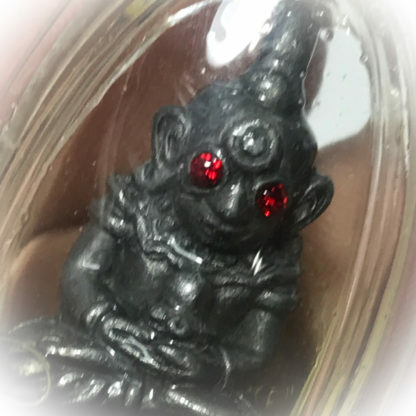 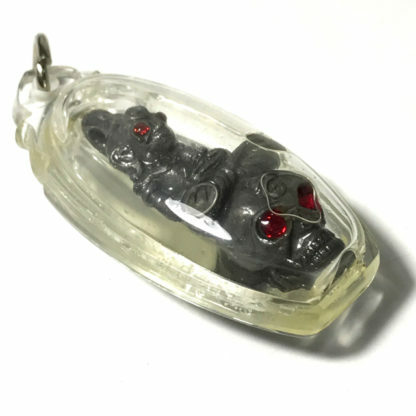 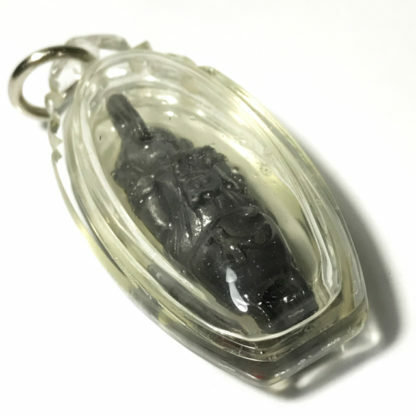 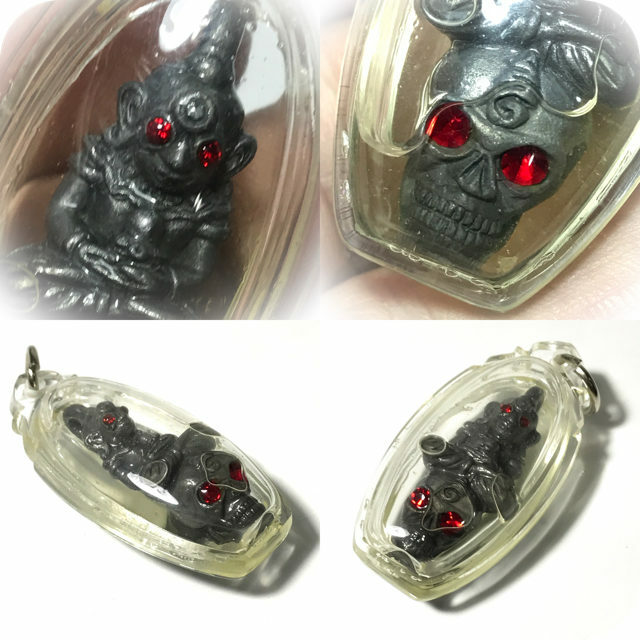 The amulet is fashioned in the image of the Pra Ngang Ta Daeng Red-Eyed Ghost sitting on top of a Hoeng Prai Grasip Ghost-Whisperer Skull, and is immersed in sacred Prai Oils for extra powerful effects. 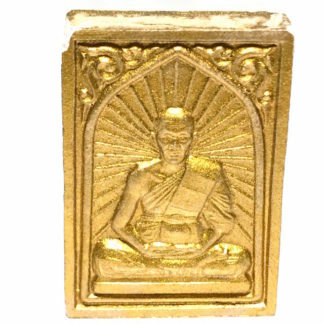 Blessed by Luang Phu Wiang over a Traimas period of 3 months of Nightly Empowerment using the Wicha Maha Sanaeh Say Sung, a White Arts method of empowerment, which gives the Pra Ngang Metta Maha Niyom and Maha Sanaeh power. 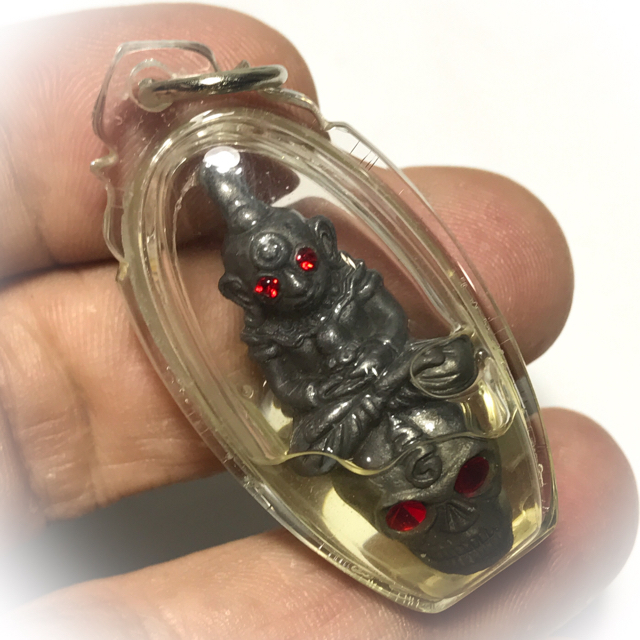 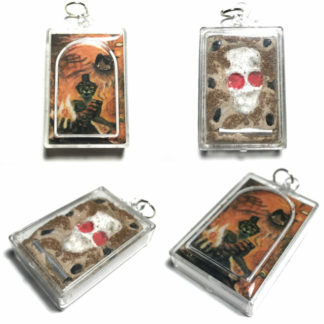 This Wicha is very powerful as most other Necromantic Dark Arts amulets, but carries no Karmic fallout due to the absence of Evil Sorcery with no invocations of Dark Energies. 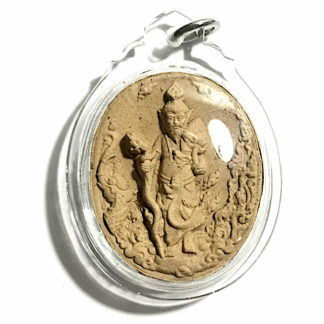 The Pra Ngang instead uses Mercy Charm to convince the ruling devas of the dens of iniquity, to gain benefits in lucky streaks and turn the odds in one’s own favour. 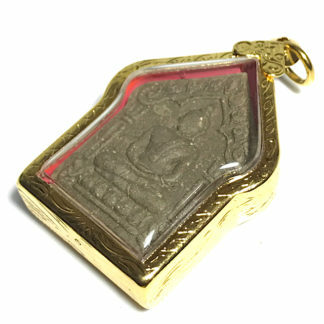 In addition the Pra Ngang Ta Daeng can seduce lovers and minimise the cost or level of effort needed for flirtatious and sexual activities with ladies of the night, and promiscuous lovers The Pra Ngang is also accompanied by the Hoeng Prai Grasip Ghost Whisperer, who will warn and foretell of lucky streaks, advisable bets and lottery numbers, and forewarn of dangers or approaching bad luck, enemies and debtors. 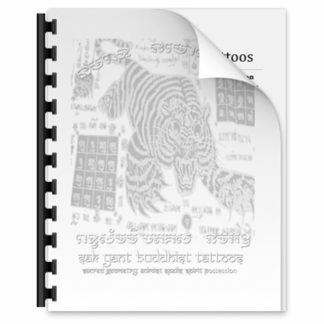 The Invocation Summoning, Awakening and Turning of the Four Elements was performed to Reanimate Living Magic within the Static Form of the Por Ngang and Hoeng Prai Grasip, according to the Ancient Grimoires and Magical Formulas of the Wicha of Luang Phu Wiang’s Lineage. 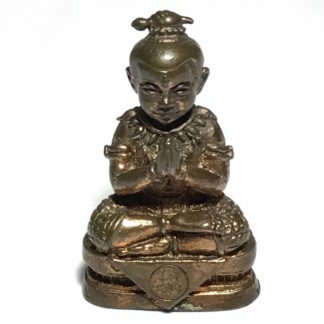 The full formula of Invocations for the Kata Akarn Sam Sip Sorng were performed, for the successful reanimation of the two spirits within the effigy. 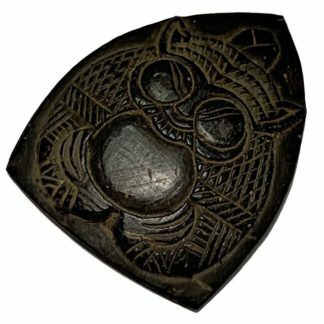 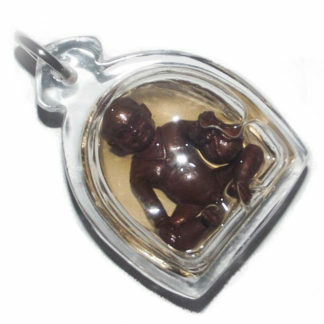 This is an essential part of Empowerment with all Humanoid and Animist amulets which are imbued with a resident spirit. 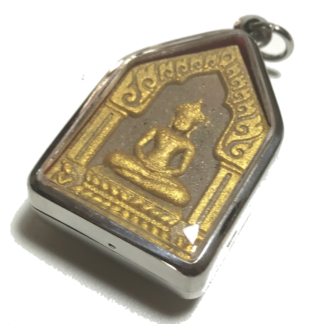 The spirits of Prai Devas were then Ordained as Buddhists, and invited to Inhabit the amulets, without the presence of Evil Sorcery, and imbued with Metta Maha Niyom and Maha Sanaeh spells, to be used to assist their owners. 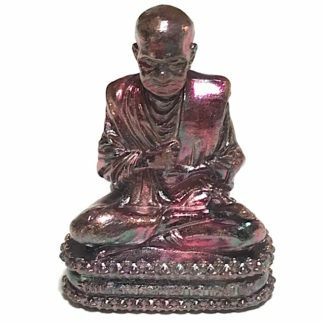 When the Prai Grasip whispers its forewarnings of luck or danger, it will happen in the mind telepathically, not sonically through the ears. 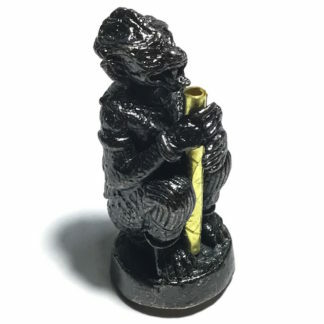 The Prai grasip is capable of, and likes to inform of pending windfalls, lucky streaks, hint at numbers to bet on, and which tables to sit on when gambling. 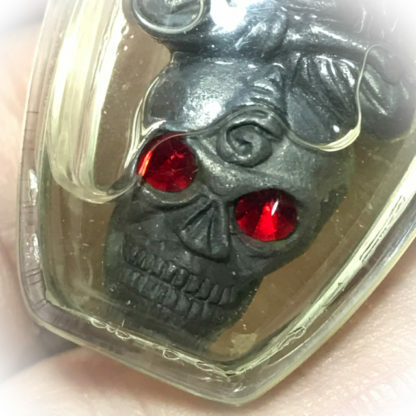 The Prai Grasip also forewarns of Dangers. 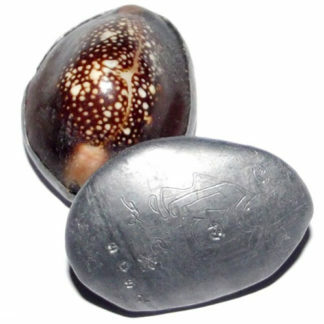 It can also find and bring back lost or stolen items with its magic. 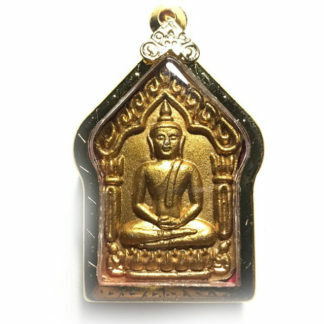 The Por Ngang Ta Daeng Hoeng Prai Grasip has no negative Karma or effects from using it, because Luang Phu Ordains the Prai Grasip Spirit into the Buddha Religion as an ordained Monk before allowing it to Inhabit the amulet. 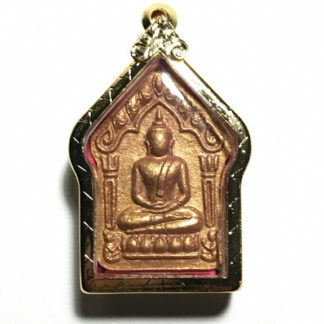 Both Men or Women can Bucha this amulet. 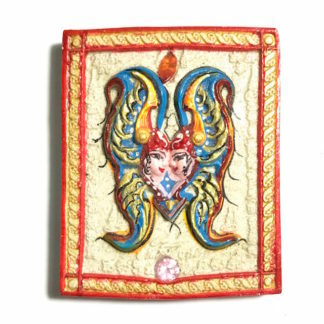 It can be used for Maha Sanaeh Charm and Attraction to entice a Lover just as well as using it as a Gambling Charm and warner of Dangers. 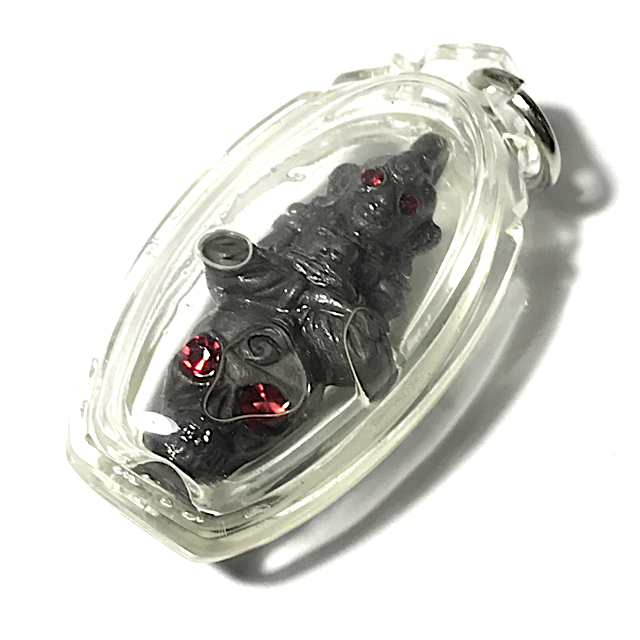 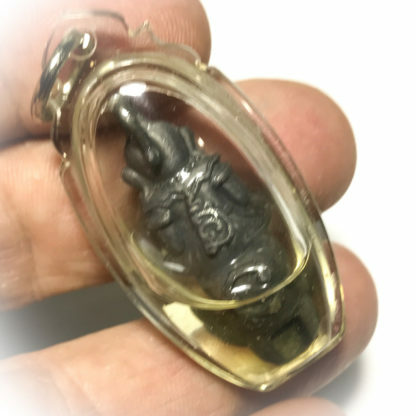 All Prai Magic Spirit amulets protect against Ghosts Demons and Black Magic too.